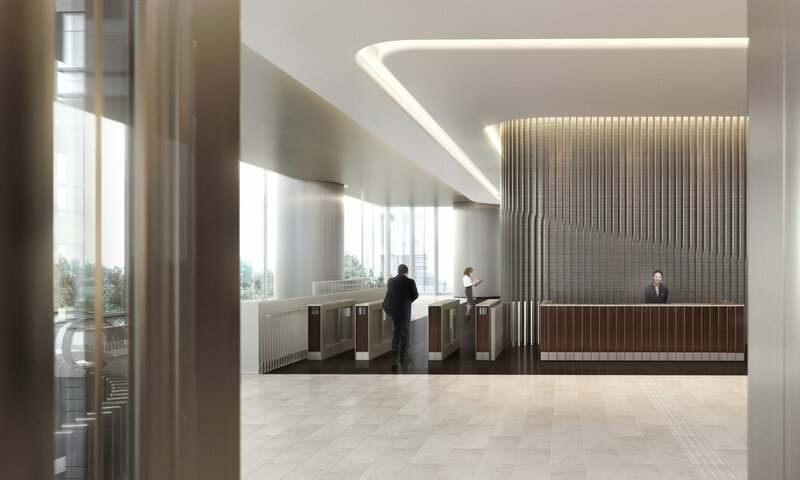 Gustafson Porter + Bowman’s work at Taikoo Place extends into the new building lobbies for One Taikoo Place. This unification of landscape and interior space embodies a genuinely whole solution which greatly enhances the public realm. The same bands of dark and light stone that define the dense lines of vegetation continue through the lobbies, creating a sense of movement which strengthens the concept of Taikoo Place as a destination. Continuity is also expressed through the large white suspended ceiling, which, placed against a light gold metal panel recalls the appearance of clouds against a blue sky. The design for this highly refined interior space seeks to create a tactile environment which matches the level of engagement people will enjoy in the lush gardens outside. Our application of colour throughout the scheme is very subtle, and is characterised by a transition from the silver exterior of the building, to a light gold in the lobby interiors, and finally the warmth of American Black Walnut adjacent to the lift cores. 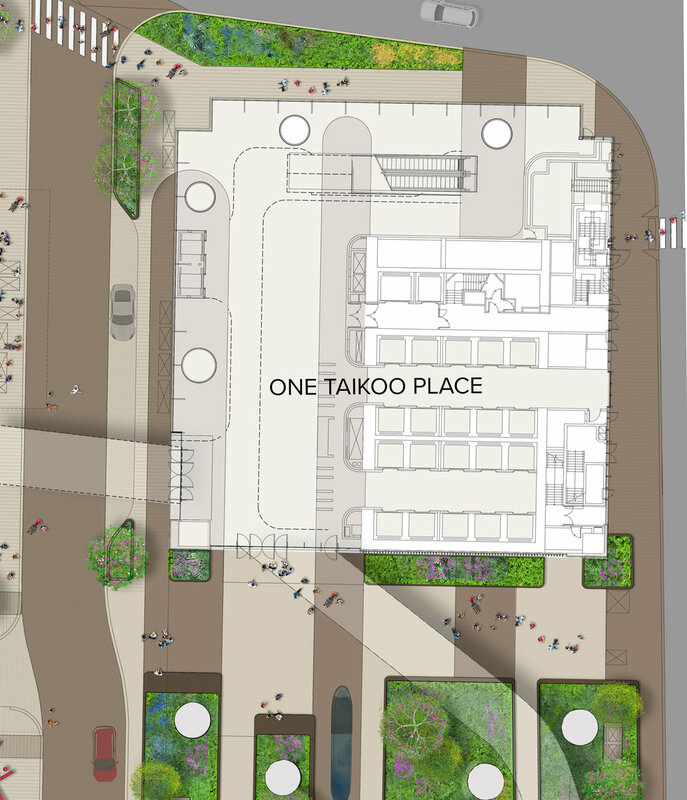 One Taikoo Place, is expected to be completed in 2018, followed by the second building, Two Taikoo Place, in 2021. Both office towers will be built to the highest standards of building sustainability, targeting LEED Platinum ratings as advised by Swire Properties' sustainable development team. All floors at One Taikoo Place are designed with large 3-metre-wide curtain wall window panels, offering panoramic views of Victoria Harbour and Taikoo Place below. Full completion is scheduled for 2021.